Each Streetfighter torque converter is pressurized and subjected to a leak test to confirm the integrity of all weld seams. Units are then computer balanced to reduce annoying and potentially damaging drivetrain vibrations (these can occur from an improperly balanced converter). "Triple Tested" so you can be confident you've got a torque converter that's ready to roll. 242931 is rated 3.0 out of 5 by 1. Rated 3 out of 5 by Blake1994 from Good Had trouble mounting it in the transmission and bolting it to the flywheel. Other than that it seems to function properly. Is this torque converter 3600 ? And can i use in my 2001 corvette? WIth a small block this would be between 3000-3400 rpm stall. It depends on the torque. If you have the 4L60E transmission then this will work on your application. 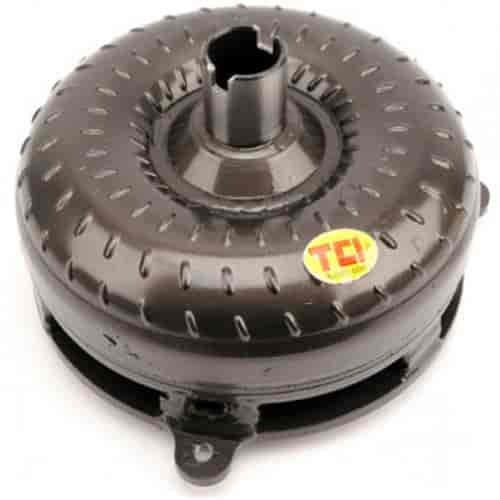 I purchased a 4l60e from you guys part # 555-603020 will this torque converter work with that transmission? This converter will work with the 603020 transmission.